Rumors that Donald Trump’s state visit to the UK could be moved from London to Birmingham have sparked fury in England’s second city. The proposal has reportedly been made to allow the newly elected president to address a rally in Brexit’s heartland, where it is hoped he will receive a warmer welcome, as he supported Britain’s exit from the EU. According to the Daily Telegraph, a source close to the president said: “It would be his biggest rally with 85,000 people coming together to celebrate the US-UK special relationship. Concerns have been raised however about the possible cost of security and policing the expected mass protests. Author and Guardian columnist Owen Jones, one of the founders of Stop Trump Coalition, a cross-party initiative against the president, said: “Donald Trump’s state visit will be marked by the biggest protest against racism and hatred in our country’s history. “What the government is trying to do is dump the Trump on us and we don’t want him,” Byrne said. Thousands of people from 36 localities across the country have already taken to the streets in protest against Trump and his policies, with the biggest turnout in London, where 40,000 rallied on Whitehall against the so-called Muslim ban. 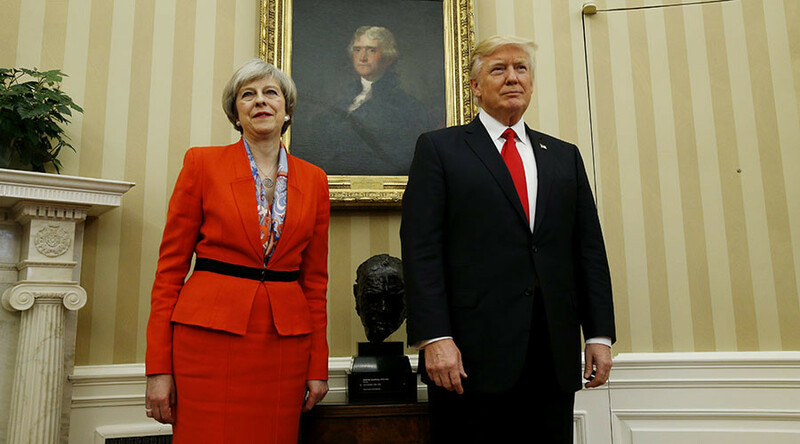 Protesters also criticized Prime Minister Theresa May for inviting Trump to the UK while meeting him for the first time in Washington, and for having a seemingly soft stance towards the president’s controversial policies. A petition calling for Trump to be banned from entering the country on a state visit because it would “cause embarrassment to Her Majesty the Queen” will be debated in Parliament on February 20. Public figures such as the singers Lily Allen and Paloma Faith also joined calls for Trump’s visit to be blocked. But Trump’s controversial policies, particularly his executive order banning people from seven Muslim-majority countries from entering the US, have also caused trouble for the speaker of the House of Commons, John Bercow. He is potentially facing a vote of no confidence after saying Trump should not be allowed to address Parliament because he is “racist” and “sexist” – breaking his duty to stay neutral. “Before the imposition of the migrant ban I would myself have been strongly opposed to an address by President Trump in Westminster Hall. 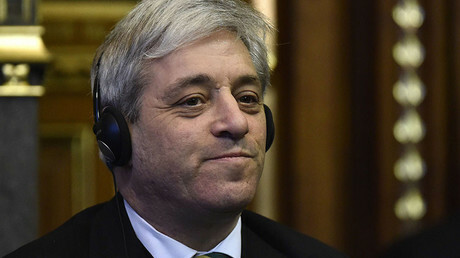 After the imposition of the migrant ban by President Trump I am even more strongly opposed to an address by President Trump in Westminster Hall,” Bercow said last week.